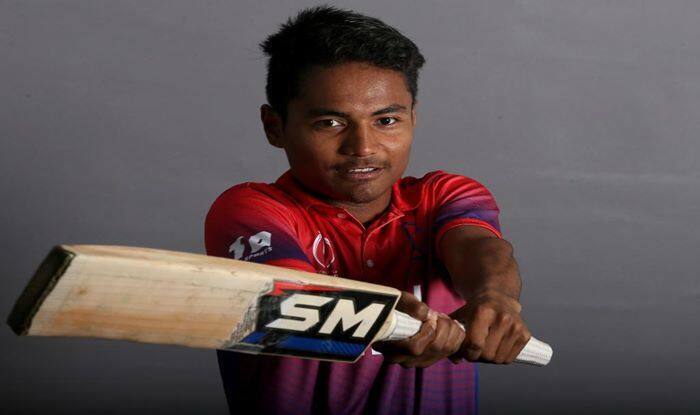 At the age of just 16 years and 146 days, Nepal's Rohit Paudel became the youngest man to hit an international half-century, beating the likes of Tendulkar and Afridi. Records are meant to be broken, this proverb fits perfectly when it comes to the gentlemen’s game. On Saturday, Nepal batsman Rohit Paudel became the youngest male player in history of the sport to slam an international half-century. At the age of 16 years, 146 days, Rohit played an impressive knock off 55 off 58 balls against UAE to break several long-standing records in the game. Paudel surpassed none other than legendary Indian batsman Sachin Tendulkar, who made 59 in a Test against Pakistan aged 16 years and 213 days. In ODIs Pakistan’s Shahid Afridi, who smashed a 37-ball century, held record at the age of 16 years and 217 days to score his maiden international ton against Sri Lanka. Paudel is, however, some way off the overall record for all international cricket, with South Africa Women’s Johmari Logtenburg having struck Test and ODI half-centuries as a 14-year-old.